By your participation to the affiliate program you have the chance to gain unique assets in our onlineshop with which you can order your poppers products free of charge in the future. Recruit independently new customers and you receive 10% commission from all conversions, which are transacted over your homepage banner. In order to be able to participate in the Poppers-Shop.de affiliate program, you must register first under the menu option "partner registration". After the registration with your email address and password you will get your entrance to your personal control panel. You have two options: Advertisement with different banners from our page. Your personal ID is generated automatically in the source code of the banner selected by you. Advertisement for a certain product (for example: Rush or Pack Nr.10), which you likewise select on our web page. 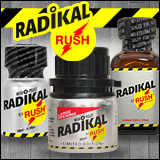 In order to put this article on your own homepage, you proceed as it follows: Move your mouse over a poppers product, you will see in the status line of you browser the exact product ID (for example Rush: products_id=1). Write the number into the form under the menu option "Banner". After clicking the button "Continue" the necessary source code for you is provided, now you can put it on your homepage. 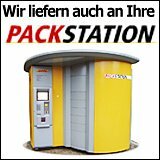 Each customer who visits Poppers-Shop.de over your banner will be registed. If this customer transacts a purchase, you gain a 10% credit to your account of the purchased order value. See menu option "overview of sales". After expiration of 30 days the credit is available for you. You can see this under the menu option "Payment Report". Do costs arise for me? No, either costs nor obligations arise for you. How do I get my free Poppers? Free Poppers can be ordered starting from assets by 35,00 euro. For this you examine your credited commission in the menu option "Payment Report". If you reached 35.00 euro or more you will get a mail with a gift code which you can redeem under the link "shopping card" in our shop. Transact a normal order and select under the payment possibilities "Warescoupon". Please be sure that your order does not exceed the commission assets plus forwarding expenses of euro 8.00. If so choose a payment methode too. Good poppers with a long intensive effect. The con is just a ..